Thoughts and opinions of a Toronto-based cryptocurrency lawyer who's worked in the industry since 2014. Legal platforms like Clio have brought large firm tools to small firm/sole practitioners, and greatly improved the toolkit available to lawyers. What these platforms don't offer, and what almost all online platforms (e.g. Facebook) don't offer, is local encryption (explained below). The current way of doing things is that lawyers are uploading important information about their clients to systems that they don't control, and that disclosure is often not mentioned in lawyers' retainer agreements. How does this interact with the rules for lawyers, such as the rules for confidentiality in Ontario? How should lawyers be safeguarding client information? The rest of this blog post talks about one possible way of addressing confidentiality in the era of cloud software tools for lawyers. 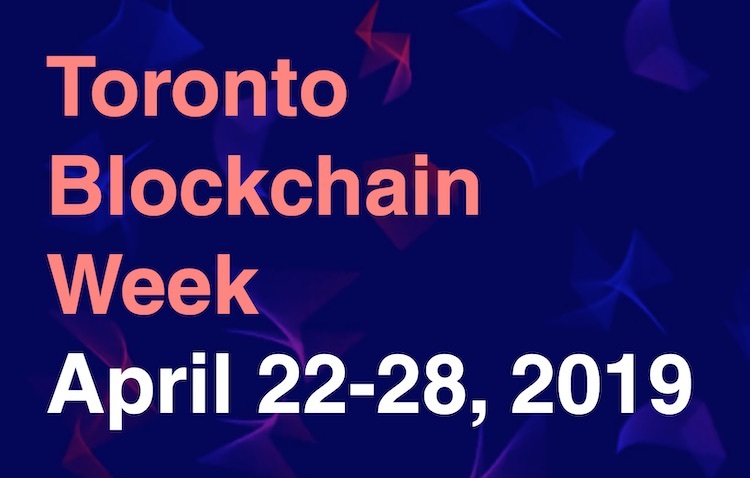 Toronto will be celebrating Toronto Blockchain Week (TBW) from April 22nd till 28th. The website for TBW is https://www.torontoblockchainweek.io and the reaction to its launch last week has been very positive. Toronto has a lot to effort to the nascent blockchain industry. One of the reasons why it's so hard to get a bank account for a cryptocurrency-related company is the prevalence in Canada of stolen payment credentials (debit/credit card information). Most people who I ask about this crime says it's happened to them. In a study by Canada's Chartered Professional Accountants, approximately 1/3 of Canadians said they'd been a victim of this crime. The rest of this blog post will explain how this commonplace crime is connected to the difficulties that companies have had in opening business bank accounts in the virtual currency (cryptocurrency) space. Many concepts sound great in theory but become thorny in practice. One of those concepts is the idea of the "public interest". The term has existed as a principle for good government, in various forms, for thousands of years and it's widely used in law. In a recent blog post, a well-known Ethereum developer implicitly put forward the idea that public blockchains ought to be run in the "public interest". But what does the term mean and is that a standard that ought to be at the heart of Ethereum, or any other public blockchain? It's a concept that's widely used in law. Why not for Ethereum? The term "public interest" appears in ethical guides, statutes, and administrative law textbooks all over the world. But this simple term hides a complicated reality. Few people agree on what the "public interest" is, how to identfiy it, or how to know when something isn't in the public interest. This is a standard that opens the door to debate, rather than providing a standard in the sense of Ethereum's ERC-20, technical standards, or really anything that programmers would say is a "standard". What lawyers and regulators call a "standard" might surprise people who are not familiar with the thousands of pages of scholarship on various sorts of "standards" in law (e.g. Canadian administrative law). Toronto has an impressive and growing group of legal professionals who work in the blockchain space. This blog post is an attempt to list the people and their areas of focus (see the end of the table for the inclusion criteria and disclaimers). The UK's financial industry regulatory body, the Financial Conduct Authority, is consulting on "cryptoasset" regulation until April. They've issued a document that contains their views on various aspects of the industry and how they might be regulated. 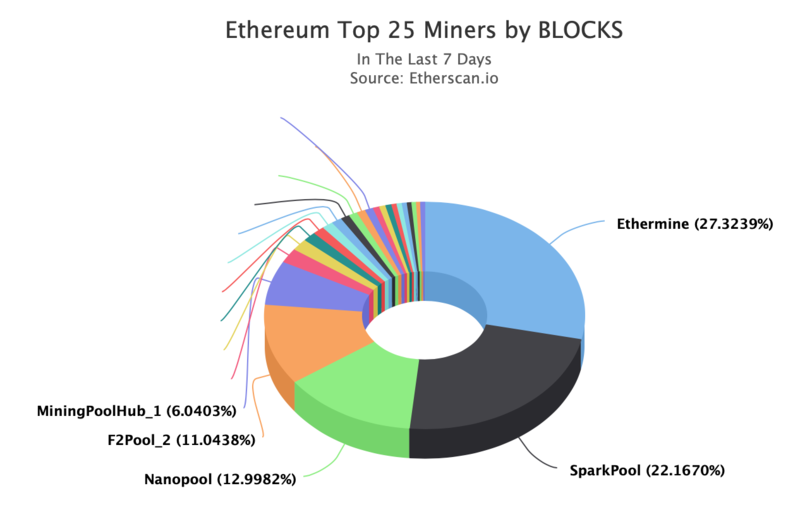 Who Manages Ethereum Mining? Are They A Good Target For Litigation Or Regulation? Who runs Ethereum? Who's accountable for what happens on the Ethereum network? This is the first in a series of blog posts exploring this topic. I've started a new law practice that's 100% dedicated to serving the blockchain/crypto market. The launch was been covered on Friday by Bitcoin Magazine: https://bitcoinmagazine.com/articles/canadas-first-all-crypto-legal-firm-opens-its-doors-to-global-clientele/. The firm was officially opened on the 10th anniversary of the Bitcoin genesis block, January 3rd, 2019. I'm excited to be able to work full-time in this industry as cryptocurrency enters its second decade. From 2013-2017 I ran a technology law practice that slowly transformed into a cryptocurrency-focused law practice. The law practice was very successful, serving around 150 clients, primarily located in Ontario. But it was a bit too busy. In the fall of 2018 I was faced with the choice of either expanding my practice (i.e. hiring associates or adding partners), joining a larger firm, or doing something more radical. Around this time one of my key clients, Ethereum co-founder Anthony Di Iorio, expressed an interest in having me change my role from outside counsel to inside counsel. In 2017 Anthony made me an offer to join Decentral Inc., his main corporation, as its Chief Legal Officer. Within two months I was promoted to President and took on a general management role. Last week the CSA published a staff notice on ICOs (token crowd sales) and cryptocurrency funds. This week my thoughts on that staff notice were published in Bitcoin Magazine: https://bitcoinmagazine.com/articles/op-ed-planning-ico-canada-here-are-10-regulatory-points-ponder/. The actual staff notice, titled “CSA Staff Notice 46-307 Cryptocurrency Offerings” can be read here. A model American state law for virtual currency businesses was approved last week by the National Conference of Commissioners of Uniform State Laws: “UNIFORM REGULATION OF VIRTUAL CURRENCY BUSINESSES ACT”. I hope that this model law is not used as inspiration for regulatory efforts in Canada. This blog post explains why. The US Securities and Exchange Commission has published a long report on the “The DAO” that contains an an analysis of the application of US securities laws to token sales/ICOs. Surprisingly, they decided not to proceed with an enforcement action against anyone involved in The DAO. The full report can be read here: https://www.sec.gov/litigation/investreport/34-81207.pdf. I created flatlaw.ca in 2013 shortly after starting up my law practice. It's now one of the highest ranked sites for many fixed fee-related search terms on Google. As of June 3rd, there are 100 lawyers advertising 551 fixed rate legal services products. This blog post contains some of the statistics for the site over the last couple years. I ran a webinar this afternoon with the BC Courthouse Libraries titled “Digital Security for the 2017 Lawyer”. You can download the slides here. The event was conceived and hosted by Katrina Leung, a BC corporate-commercial lawyer who works for the BC Courthouse Libraries. We had about 125 people tune in and they've kindly permitted me to distribute the slides. A webcast will also be made available next week on their Vimeo page. 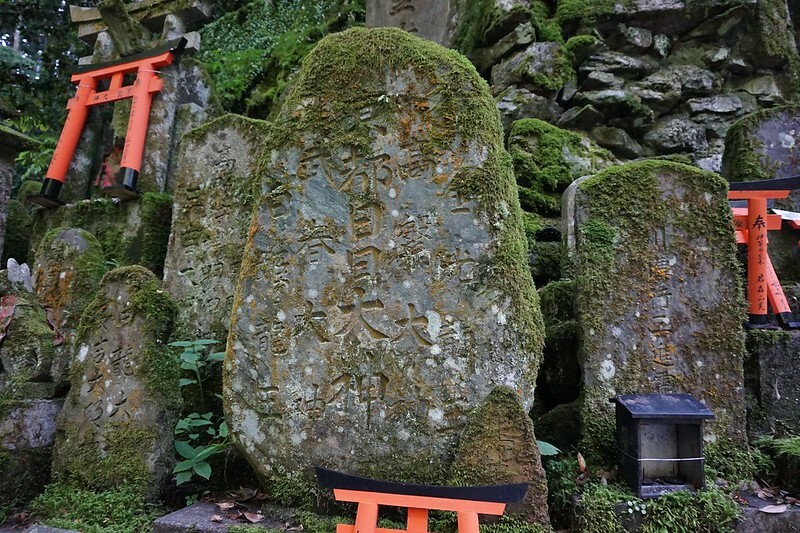 My article on “tokenization” of real world assets was published by Bitcoin Magazine on Friday. 1. Federal anti-money laundering law: Proceeds of Crime (Money Laundering) and Terrorist Financing Act. Note that there's also a Quebec law that might be relevant. The Bank of Canada released a working paper this month that contains a bold claim: “Lesson 1: Digital currencies will be counterfeited.” The paper is on the lessons that private bank notes from many decades ago hold for digital currencies today. Much of the paper consists of an excellent history of bank notes. But the paper also contains claims about digital currencies, specifically, private, non-Central Bank affiliated digital currencies like Bitcoin. This blog post explains why the working paper's Lesson 1 claim about digital currency counterfeiting is not correct. Delaware is the corporate capital of the United States. It has more corporations than residents. Many jurisdictions would like to follow in Delaware's footsteps and become a hub for incorporations (one benefit: ongoing registration fees). And in 2017 there's an opportunity to use technology to leapfrog Delaware and create a global corporate hub. This blog post lays out how Rwanda could create a Delaware-beating infrastructure based on blockchain technology (also called "Distributed Ledger Technology"). Added bonus: Rwanda create a new class of online corporation with publicly traded securities. Last week I spoke about blockchain-based corporate voting (and other topics) at the “Blockchain Symposium” held by Gowlings WLG in Toronto. This blog post expands on that discussion and explains why I think corporate voting via blockchain will be reality within the next few years. Corporate voting is just one aspect of the large constellation of service companies that handles ownership, registration, transfer, settlement, clearing, and other functions of the public securities markets. What's going on in the world of securities management/investor communications? 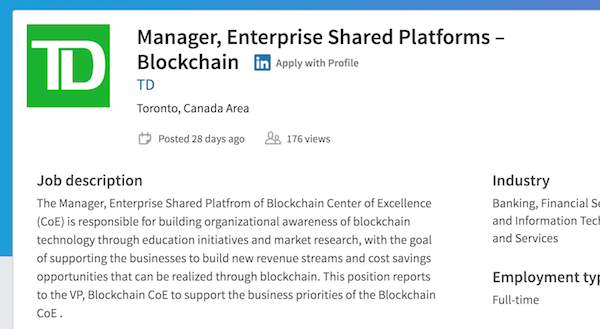 TD is looking for a manager for their "Enterprise Shared Platform of Blockchain Center of Excellence". The position "reports to the VP, Blockchain CoE to support the business priorities of the Blockchain CoE." The ad was posted a month ago: https://www.linkedin.com/jobs/view/236085965. The US Federal Reserve published a paper this week on the application of blockchain technology to the payments, clearing and settlement sectors of the US financial system. Starting a blockchain software business? Below is a checklist of some of the legal & business issues common to this emerging industry. ☐ Build off an existing platform like Ethereum or create a new blockchain platform? ☐ Open source or closed source? Generally "blockchain" = open source but there are other models (e.g. R3). ☐ A combination of open source and closed source? Which parts? ☐ How will the blockchain be used? How will the software be used? Which open source license is most appropriate? ☐ Who will own contributions to the code? Will there be a "contributor license agreement"? Assignment? ☐ What about supporting assets like images, videos, etc.? Written agreements will help avoid conflicts later and ensure that a departing individual doesn't take their work with them. How Does Toronto's Fintech Sector Rank Globally? 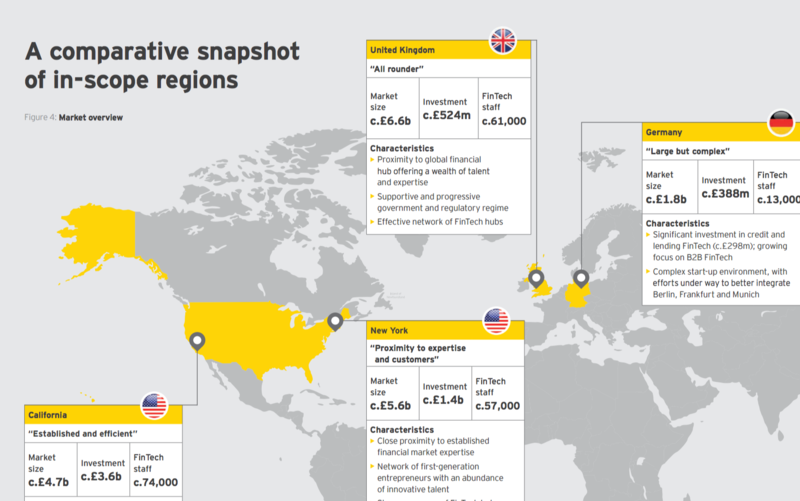 EY recently released a report for the UK government about how its Fintech sector stacks up against other global financial hubs. Toronto was not on the list of comparable jurisdictions. But if it was, it would probably be in fourth place by region. I'm a technology lawyer and a legal technology entrepreneur. I was recently asked to contribute to a book about how people are leveraging law degrees outside of law. The author has allowed me to publish my thoughts here and hopefully they'll appear in print at a later date. Below are the three technology products I've developed that wouldn't have happened without a combination of J.D. and programming. McKinsey & Company (a prominent consulting firm) has released a report on the application of blockchain technology to the insurance industry. Teva Canada Ltd. v. Bank of Montreal, 2016 ONCA 94, contains everything you ever wanted to know about how cheques work and is a case study in financial risk. This is interesting reading for anyone who works with cheque systems or is seeking to replace them (re: Fintech industry). The litigation is focussed on the (federal) Bills of Exchange Act. The case began with a Teva employee writing cheques to himself for around $5 million. The employee registered Master Business Licenses (MBLs) for names similar to Teva customers (and then a couple imaginary ones). This blog (and the entire cameronhuff.com domain) now uses SSL courtesy of the Let's Encrypt project. If you're not using SSL, see if your hosting company offers support for Let's Encrypt (Dreamhost has a great integration). It's free and works just as well as any other SSL cert. A little while ago I had a Skype consultation with an Italian entrepreneur who had a problem with a German software developer. I asked what the problem had to do with Canada and he said nothing. I asked why he wanted to hire me and he said that he'd done extensive research online and thought that I was the best person for the job. Canada's equivalent of the NSA, CSEC, is always on the hunt for new talent. There's a job listing today for a "Telecom Technologist & Network Analyst". One of the job requirements: “Experience in administration of remote network endpoints where there is little to no assistance at the remote end.” I wouldn't expect too much help from the other end when you're doing foreign signals intelligence. The pay for CSEC jobs is surprisingly good for Ottawa civil service but probably not competitive with the private sector right now. Posted salaries for experienced people range from $70k-$100k. Most private sector jobs for similar roles don't have posted salaries but appear to be about $30k/yr higher. The presence of interveners doesn't seem to affect an appellant's chance of success at the Supreme Court of Canada. I took a look at 844 recent Supreme Court of Canada cases that proceeded to the stage in which there was an appellant (as opposed to applicant). There doesn't seem to be any discernible pattern in the data. The Canada Business Corporations Act requires that companies hold regular shareholder meetings but the statute allows companies to dispense with the requirement of physical meetings by using written resolutions instead (s. 142(b)). Written resolutions are a great tool for corporations owned by a single shareholder or a small team of co-founders but it's important to note that all of the required business of a shareholder meeting must be addressed in the written resolutions. Free Shipping from Shenzhen to Toronto: How? The foot pad on my Macbook Pro Retina fell off the other day. The Apple Store didn't have a replacement part but an eBay seller in Shenzhen, China did. For $3 with free shipping. The cheapest international shipping option with Canada Post is $5.35 for up to 100g (without tracking). How can a store in China sell me anything for $3, including shipping? John Chen's BlackBerry: Less Privacy Than Legally Required? CanLII's robots.txt file provides preferential access to its database of laws & cases to users of Google vs. other search engines. This blog post explains how they're doing it and why that is inconsistent with CanLII's privileged position in the Canadian legal publishing landscape. As a preface to this post: I'm a big fan of CanLII's service and use it regularly for my legal practice. Just because something is great doesn't mean it can't be better. Continuing my work on Supreme Court data mining, I've extracted the firm names from the last ~7000 Supreme Court of Canada cases (going back about 10 years). This analysis was done by taking the first line of the address for each party, which is almost always the firm name. Below are the top 14 firms + the Attorney General of Canada. Which lawyers have represented the most number of clients before the Supreme Court of Canada in recent years? In order to answer this question I analysed the most recent 6984 cases before the Supreme Court of Canada (approximately ten years of cases) and extracted the named counsel for each case. The results are given below. I often advise startups about running what I term "marketplace" businesses. That is, companies that connect customers with other businesses on a digital platform. The key challenge for these businesses is not being seen as the entity making the sale but rather as the entity connecting two independent entities (customer and supplier). These businesses are at the cutting edge of a change in the way that business is done as we move ever more towards a world of smartphones, contracting and reduced transaction costs. Uber is the most prominent of this new breed of startups. This past summer's case of City of Toronto v Uber Canada Inc. et al., 2015 ONSC 3572, 126 O.R. (3d) is an incredible win for this business model and should encourage anyone interested in exploring marketplaces. Why is this case important? SecondMarket has been acquired by NASDAQ. SecondMarket is the main tech company private share marketplace in the US. I wonder if NASDAQ plans on expanding its presence in other markets. As a lawyer and programmer I have long thought it would be useful to have a search engine for world laws. I run several specialized legal/legislative information services (e.g. OntarioMonitor.ca) that have taught me quite a bit about how hard it is to gather legal information and present it to users. After years of consideration and many months of hard work I'm pleased to announce the launch of Global-Regulation.com. 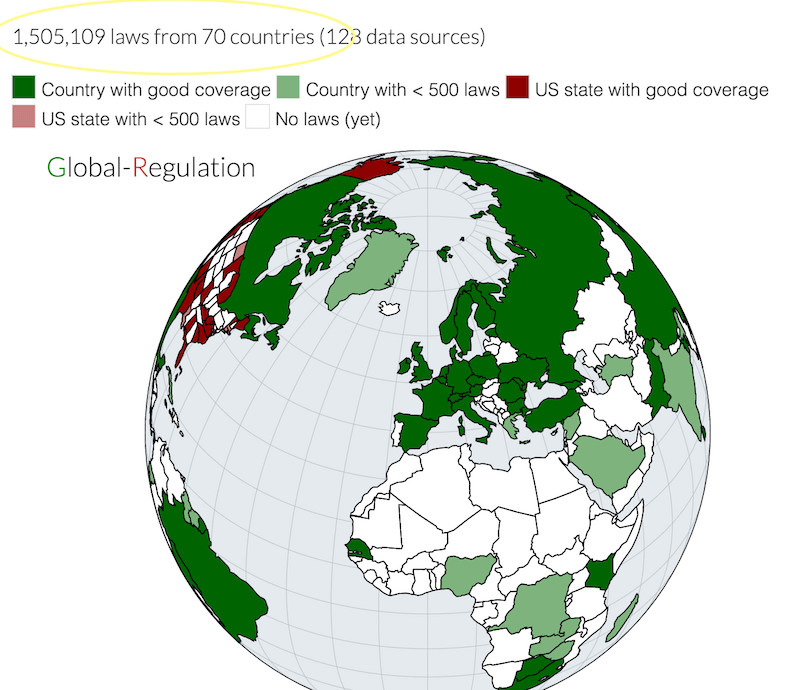 Global-Regulation is a law search engine that currently has a database of 212,000 laws from all over the world (some are machine translated from China, French and German). Searching this 12 gigabyte database of laws takes seconds because of a dedicated in-RAM search application that is in front of the MySQL database (hosted on Google Cloud for speed, redundancy and ease of scaling). If the current database were printed out it would be approximately 7 million pages (and completely unusable). Let's say I have a company that sells gravel in Canada. I buy gravel wholesale for $500 per ton then sell it retail at $1000 a ton. I make approximately $500 per ton in profit. That means I would have to pay corporate tax on the $500 per ton in profit (assuming I had no other costs). What if I set up an offshore subsidiary (e.g. Cayman Islands) that buys the gravel from my supplier for $500 per ton then sells it to me for $1000 per ton and then I sell it to the customer for $1000 per ton? If that were possible, I'd effectively shift the profit I make from gravel sales from Canada to a no-tax offshore country and thus escape corporate tax while still making just as much money (and if I had any other costs, I'd then have a loss that I could apply to past year's gains). "Transfer pricing" is the term given to the price set between related entities (e.g. a Canadian company and its Cayman Islands subsidiary). The rules for how companies can set their prices internally are complicated but attempt to stop would-be tax cheats from moving profit from one country (that has taxes) to another country (that doesn't, or has very low taxes). A key principle is that the price that a company should pay to its subsidiary is the price that they would pay an "arms-length" company. This principle is hard to apply and the rules create opportunities to pay very little tax on very large sales. I started my law practice in July of 2013 and immediately began blogging. In the first full month of my practice my law blog received 80 visitors. Two years later, my blog receives around 1100 visitors a month. More and more countries are hosting laws online. Machine translation gets better by the day. When will we have access to all of the world's laws translated into the languages of the world? I think 3D printing is the future for cases that involve construction. Although insiders may understand floor plans, seeing a physical model of the building as it will be is powerful. Below are a few photos of a 3D printed model for a case that I recently worked on. It was the first 3D model that the expert planner, who's been in the business for 30 years, had seen (and they got a copy of the model too). A recent New York Times Magazine piece covers the evolution of machine learning methods for language translation. If you're interested in building your own service that uses automatic translation then there are two big players in the space: Google and Microsoft. Both offer similar APIs although at slightly different price points and different technical limitations. I work for agencies and independent programmers who offer consulting services. Before becoming a lawyer I did freelance web development. This is an overview to the steps required to start a business doing contract programming. Step 0) Learn how to program and develop your skills to a point at which people would like to pay you to program for them. What Does A Bitcoin Lawyer Do? Queen's Law held a panel discussion last week on the topic of AI and law. A recording of the discussion and a summary will be made available in the fall. In the meantime, here are my prepared remarks. The actual discussion ended up covering different ground than the questions that were distributed ahead of time and my fellow panelists had a lot to add. I'll post a link to the discussion when Queen's does. The other panelists were Janet Fuhrer, Jeff Fung and Jordan Furlong. The moderator was Professor Cockfield with assistance from Lisa Graham and John Neufeld. I'd like a time-tracking service like Toggl (Internet-based and works well on mobile and desktop). But I'm a lawyer so I don't want to store confidential client information on a service like that, so it would need to be client-side encrypted. I'd also like the software to tell me about opportunities to generate additional business (i.e. make more money). Client-side encryption can now be done on most browsers using the WebCryptoAPI (although implementation is a challenge for developers). My ideal service would encrypt all of my data client-side with AES and then upload it to the time-tracking system. When I access the service it decrypts locally to show me my information. 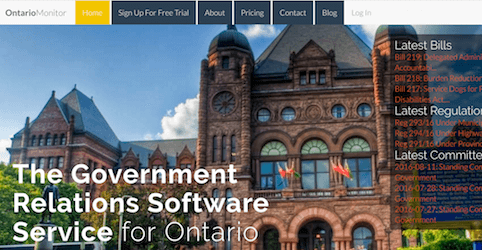 OntarioMonitor has undergone a major rewrite that allows for a huge number of new features. One of those features is "bill prediction", accurately guessing whether a newly introduced bill will receive royal assent. You can read more about the new feature and the 82-91% accurate results here: http://www.ontariomonitor.ca/blog/predicting-whether-a-bill-will-pass-in-Ontario/index.html. CBC interviewed me for a segment on Nintendo asking for a cut of ad revenue generated by "Let's Play" videos. There are far more people with ideas than there are programmers to turn those ideas into reality. Even people with great ideas, domain knowledge and capital can have a hard time finding a technical co-founder to team up with. If you want to start a bus line in Ontario you'll need to prove to the Ontario Highway Transport Board that your service will serve "public necessity and convenience" which includes, among other things, explaining your "impact on existing carriers if the service were granted". You also need to tell the board who are your "10 Largest Shareholders" and the "No. of Shares held" by each of them, your "business plan" and a "projected operating statement for the first year". After you file this information anyone in Ontario can request a copy ("All information pertaining to the applicant i.e. business plan, supporting evidence, etc. is on file at the Board and is available upon request." [e.g. on pg. 472]). Bitcoin is changing perspectives on how we manage assets. If money can be moved around instantaneously without friction then why not shares too? In 2015 shares are often digital abstractions traded through all-electronic stock exchanges. Bitcoin enthusiasts look forward to a world where banking, investment and securities companies are disintermediated and the world's savers can invest around the world without friction. But how does this new model for issuing stock fit within securities laws? QuadrigaCX, Canada's dominant Bitcoin exchange, is set to become the world's first publicly traded Bitcoin exchange according to Bitcoin Magazine. I don't see the news reported anywhere else (including on Quadriga's own site/Twitter) but Christie Harkin, the author of the article is a good source. This is pretty big news for a Canadian company that only started a little over a year ago. Up until this year there were three exchanges competing for Canadians' wallets but as of mid-February there's only Quadriga. Given that the gross margins on Bitcoin trading are ~0.5%, Quadriga is probably still standing due to their cost structure being lower than their former competitors. Canadian legal & tech people are very keen on Ross, a software system built on top of IBM's Watson that's designed for law. One of the co-founders of the Ross team* describes it as "[b]asically, what we built is a [sic] the best legal researcher available". I wish this was true but I'm very skeptical. Watson is a question-answering computer system that was designed to win at Jeopardy (it beat the previous champion, Ken Jennings) but has since been expanded to tackle more general question-answering. IBM promises that it's a "new era of computing" but the area it's operating in, "natural language processing", is a hot space with companies like Facebook pouring resources into their own solutions. It's an area that has been of interest to researchers for more than half a century yet applications that use it are relatively rare. Has IBM made enormous breakthroughs that will soon change the way we interact with computers? How Much Would a Bitcoin-Based Payment System Save Canadian Merchants? Q: How much would Canadian merchants save by switching to the Bitcoin network? A: About $9 billion per year. Credit card transaction fees are around $9 billion per year in Canada. To process those transactions using Bitcoin would cost 1/100th of that: only $90 million. Read on for the math. Lawyers think they know what makes a successful appeal but there aren't any numbers. What's the chance that a client's appeal will succeed? That's hard to answer but an analysis of thousands of Supreme Court decisions shows that there are factors that make cases more or less likely to result in a win for the appellant. The odds calculator that you see below allow you to see what the approximate chance of success is for a person contemplating an appeal to the Supreme Court of Canada. Read more at the bottom of this page. CanLII's Licensing Terms: How Much Access Should Canadians Have to Court Decisions? This post is a response to comments made by Colin Lachance, CEO of CanLII on a Slaw.ca article titled “Trusting the System”. I recommend reading his remarks in full. I want to preface my reply with a thank you to Colin for engaging in this debate and helping to raise awareness about the importance of licensing terms for court documents. Tech startups usually grant shares subject to vesting conditions (or use options) in order to solve the problem of a founder leaving and taking their shares with them. The shares are either issued immediately subject to the company buying the shares back later under certain conditions (a reverse vesting agreement) or are granted over time (a vesting agreement). Vesting or Reverse Vesting Agreement? The Committee of Adjustment is the first level of land planning dispute resolution in Ontario. Each municipality has their own Committee of Adjustment that manages its own affairs. The Toronto version makes thousands of decisions a year but the decisions are often not available online. The appeal body for the Committee of Adjustment, the Ontario Municipal Board, make its decisions available through its inscrutable search engine and the commercial case law providers Westlaw and Quicklaw. Unfortunately, at least in Toronto, you can only get access to the Committee of Adjustment decisions by submitting a research request to the City of Toronto. Research requests give you the last five years of decisions on up to five streets for $150 + HST. Why doesn't the City make their database available online? Mt. Gox was the world's largest Bitcoin exchange until it's bankruptcy in 2014 due to an alleged hacking incident that cost hundreds of millions of dollars. Mt. Gox is a Japanese company but its customers were all over the world including many Ontarians. Ontario just launched an online casino: https://www.playolg.ca/content/olg/en.html. This unimaginative step is a wasted opportunity to create a gigantic global gambling company powered by Bitcoin. The province's new site looks like it was designed in 2005 but it's a giant leap forward for the province's gambling industry because there was previously no way to gamble online (legally). Until the 1930s there were few rules for public company accounting. Even with our thousands of modern rules and standards accounting is a complicated process that is generally post-hoc. Receipts are collected, tabulated and entered. Bank accounts are compared against invoices and income assessed. Digital currency (e.g Bitcoin) could change this. Bitcoin is an Internet-first currency. It's digital and instantaneous. When you cash a cheque the bank will place a hold on the amount of money because they don't actually receive the money for several days. Digital currency skips the antiquated banking system that relies on reconciling amounts over days. In last week's decision of R. v. Fearon, Justice Cromwell (for the majority) wrote "armed robbery ... a crime that has become depressingly routine." This is an odd observation to see from the highest court in the country given that crime rates have been falling across the board for decades. According to the RCMP, armed robbery rates are down 50% since the bad old days of 2000. Statscan figures show that between 1999 and 2008, the overall rate of robbery with a firearm decreased by about 40% in Canada. The rate of armed robbery has decreased by about 50% since 1994 (table 16, compare with other Statscan table). Arbitration clauses are a common feature of commercial contracts*. As Bitcoin becomes a more common way of transacting business I can imagine there being two-of-three multisig used with an arbitration company. How the scheme would work is that one key is held by the buyer, one by the seller and the third by a mutually agreed upon arbitration agent. The agent would do whatever is ordered by the arbitration that is triggered by a dispute between the parties. This would allow for arbitration orders to be both binding in law and in practice (becomes the bitcoins would be sent immediately). The Senior Deputy Governor of the Bank of Canada, Carolyn Wilkins, gave a speech yesterday about Bitcoin that outlines some of the Bank's thinking. Ms. Wilkins seems quite knowledgeable about digital currencies (she mentions Ripple and Litecoin in the speech) but she makes a few errors. These errors are completely understandable because digital currencies are complicated but it's worth correcting these mistakes because the Bank of Canada needs to thoroughly understand these new money-like technologies. As a lawyer who works in the cryptocurrency space and computer programmer, here are my views on Ms. Wilkins' speech. I was recently asked about my programming background and thought it would be useful to put together a few of the things I've done over the years. In 2009 I won 1st place at the finals of Yahoo's international programming competition with this hack: http://www.youtube.com/watch?v=yNqgq7ej7JQ. This followed my win at the regional level (University of Waterloo). The Nova Scotia Court of Appeal (NSCA) does something special with their published decisions: they have informative cover sheets. So far as I know, all other courts publish their judgements free-form. The NSCA cover sheets contain a list of subjects covered, a quick summary, a list of issues and a result. It seems like common sense but this practice seems to be limited to Nova Scotia. Here's an example decision: Canada (Attorney General) v. MacQueen, 2014 NSCA 96 (scroll down to page two). Imagine a poor, strung-out woman who testifies and then a man in a suit gives contradictory testimony. A judge hears both parties and rejects the woman's testimony. Our judicial system depends on having people testify in court. The theory is that judges and juries can tell if someone is lying by looking at them while the person speaks. Excellent advice from Sam Altman, President of YCombinator in the form of a transcript from his first class at Stanford on startups: http://tech.genius.com/Sam-altman-how-to-start-a-startup-lecture-1-annotated. This lecture is aimed at university students but it's great advice for anyone. If you're a lawyer then your emails are probably being monitored by the NSA/CSEC, China, support staff at your firm, criminals, etc. If you're using a cloud-based software system to keep track of documents or communicate with clients then there's an even higher risk that someone out there is looking over your shoulder and reading your clients' secrets. As more lawyers migrate to "the cloud" with services like Clio, Slack and Office 365 the bar should be very concerned about the (lack of) security built into the tools we use. But don't these companies have great security? Yes, but the NSA has even better anti-security (e.g. $1.2 billion surveillance data centers) and legal-electronic tools like PRSIM to extract secrets from companies like Google, Microsoft, Yahoo!, etc. The simplest way to accept Bitcoin payments is to set up a wallet and tell people to send you bitcoins. The next level of complexity is setting up a system where each person who pays you is given a unique address (to pay to) and then automatically collecting those payments and marking that person in a database as having paid. How can you do this? Electrum Master Public Keys (BIP 32) allow you to generate new addresses on the fly that "deposit" automatically into one Electrum wallet. The trick is that you can generate addresses using the Master Public Key + Offset (an integer). So for each customer you assign an ID number and then generate a Bitcoin address that corresponds to that ID. The code that generates these addresses doesn't require access to your private keys, only the master public key (which is used to derive the other public keys that become the addresses). I'm at LawTechCamp 2014 at Ryerson DMZ. Here are the slides for my talk that's coming up at 12:50. A few weeks ago I spoke with someone who buys a lot of Bitcoin. They buy it and then immediately send it to a supplier in China who then ships them manufactured goods. They used to use wire transfers but said it took about four days to clear and the Chinese company wouldn't ship the goods until they got the money. With Bitcoin they get the money immediately and he gets his goods four days sooner. The buyer also saved a bit on wire transfer/currency conversion fees. Bitcoin would be a great way for banks to settle transactions between themselves without using intermediate banks/payment networks because it's instantaneous and irreversible. This could enable banks to offer wire transfer-like products that settle in minutes instead of days (or weeks). There's a new grant program available to Ontario tech entrepreneurs who are 18-29 and affiliated with a university: http://www.oce-ontario.org/programs/entrepreneurship-programs/smartstart-seed-fund. The grant program is called the "SmartStart Seed Fund" and is a program delivered by the Ontario Centres of Excellence. LawTechCamp 2014 is coming up this September 6th at Ryerson's DMZ. It's a BarCamp-like event for legal technology and if last year's speakers are any indication, it looks like it'll be a who's who of Toronto legal tech people. Is Sending Spam Worse Than Killing a Blue Whale? Killing an endangered blue whale has a softer penalty than breaching Canada's new anti-spam laws by sending a single unsolicited email. 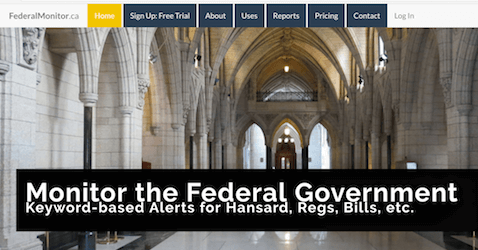 The Canadian anti-spam legislation (full text) is now in force and penalties for violations are theoretically up to $1 million for an individual who sends one email without consent and $10 million for a business. Interesting blog post on how to use the Bitcoin scripting language to build complex applications: https://curiosity-driven.org/bitcoin-contracts. The examples they give are Kickstarter-type campaigns, escrow and gambling. I didn't know these sorts of applications could be built (trustlessly) on top of the Bitcoin scripting language. Information about Canadian public company quarterly reports, insider trades, and more is only being made available to companies who pay a (secret) licensing fee. Individuals can access individual filings (after solving a CAPTCHA) but the information is not free for re-use nor available in a machine readable format. Canadian securities filings are required to be posted to SEDAR and SEDI. The two sites are the Canadian equivalent of the (much better) United States service run by the SEC called EDGAR. Ethereum, a blockchain programming platform (and client of mine), has started selling ether. As of Wednesday night they've sold around $3.7 million of ether in about 24 hours. You can watch the progress of the sale by looking at the address where they're receiving the Bitcoin. Congratulations to the Ethereum team! I've returned from my two week honeymoon in Venice, Rome and Budapest. 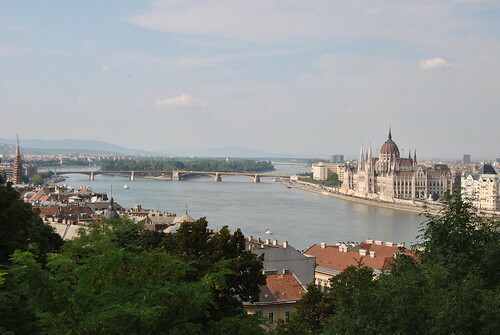 Below are a few photos from the Budapest leg of the trip. Dell recently announced that they're accepting Bitcoin. Here's a blog post I wrote for the Decentral blog about how companies like Dell and Expedia are accepting Bitcoin: http://blog.decentral.ca/post/92445053308/how-dell-expedia-and-others-accept-bitcoin-payments. The short version is that most companies are using Coinbase (US-only) or BitPay. Both of these services work well with Shopfiy. I've made an online heat map generator that you can use by clicking here. Below is an example heat map made with the tool. BitPay (a less feature-rich Stripe for Bitcoin) claims to be processing more than $1 million USD in transactions per day. It's hard to get a sense of how large the world of Bitcoin is, and especially hard to get a handle on the amount used for commerce vs. speculation. BitPay is one of the main merchant processing companies so this statistic is one worth paying attention to. What tax credits are available for software companies in Ontario? SR&ED: 35% tax credit for Canadian-controlled private corporations (CCPC) conducting research. Infographic explanation: techvibes.com. I've written a series of programs that process and extract the names of counsel from Ontario Court of Appeal judgements. I've analysed 8077 decisions and extracted 12,000 lawyer-case pairs (some decisions have multiple counsel). Using the extracted data I compiled a table of the lawyers who appeared most frequently before the Court of Appeal over the last 15 years. I've written a blog post on the Decentral Tumblr blog: "Decentralized Bitcoin Exchanges: A Solution with Three Big Challenges". This blog post explains what a decentralized Bitcoin exchange is, why Bitcoin industry people are keen on the idea and what the implementation challenges are. I recommend reading the article if you're curious about where exchanges (e.g. CAVirtEx) are headed. Many people in the industry think that decentralized exchanges are what people will be using in a few years. The first person to create one that works will make a big splash. As part of my ongoing series of Bitcoin Law articles on the Decentral Tumblr blog, I've written a new post that looks at the feasibility of a blockchain-based real estate system in Ontario. The blog post describes our current real estate registry and what it might look like if it was switched to a "smart property" system. Parsing legal documents is hard. It's hard if you're a lawyer and it's even harder if you're a computer. Here's an article on the Free Law Project that describes the challenge of parsing legal documents: http://freelawproject.org/2013/11/01/want-to-merge-millions-of-legal-opinions-it-wont-be-easy/. They have a collection of similarly great content on other practical problems that arise when parsing the law. I've written a blog post on the Decentral Tumblr blog that explains Bitcoin terms in simple language. Below is a text version of the glossary. Starting an ISP in Canada: Facilities or Non-Facilities-Based? Ontario Court Secrecy: The Meaning of "Open Courts"
The federal government's budget act for 2014 passed "first reading" on Friday. It will amend the money laundering regime to create a new category of money services business: "dealing in virtual currencies". The budget is a whopper of an omnibus bill but the key amendment is at s. 256(2). It adds to the existing categories of regulated businesses (e.g. foreign exchange): "dealing in virtual currencies, as defined in the regulations". I expect the regulations to set a limit of somewhere between $1000 to $3000 for dealing without collecting identity documents. According to coinmap.org I'm the only lawyer in Toronto who accepts bitcoin. Are you backing up your MySQL database regularly? Here's a good technical article on how the Bitcoin protocol works: http://www.righto.com/2014/02/bitcoins-hard-way-using-raw-bitcoin.html?m=1. How Much Power Does Bitcoin Use? Forbes reported $15 million per day in power consumption for the entire Bitcoin network back in January but some people disagree with that estimate. I think a fair estimate of Bitcoin power consumption is about $150,000 per day. I don't find Google Analytics to be very insightful. A big disadvantage is that it's mostly not real-time so you lose out on time-sensitive opportunities/insights. There is probably a nice analytics service I could buy but it's also fun to roll your own software. The screenshot below shows my personal logging system (click for a better image). Come learn about Bitcoin every Wednesday night at 7pm: 64 Spadina Ave, Toronto. The event is held at Bitcoin Decentral, the main space in Toronto for this growing industry. The New York Times reported over the weekend that Snowden used a web crawler to spider the NSA's internal sites and steal documents. This is a good example of an organization that didn't have appropriate controls over the velocity of access that was permitted and a great follow-up to my post from a couple weeks ago. In lighter news, the NYT was mocked over their use of scare quotes by Marc Andreesen and others. It may not be the best story but it does highlight an important point for lawyers: don't let any user download all of your files. I was interviewed by Global TV last week on the topic of CSEC's airport wifi spying experiment. You can watch the interview here (at approximately 1:50). I did an approximately 15 minute interview but unfortunately only a few seconds made it into this three minute segment. There's a lot more to say on the topic! How is CSEC Spying on Canadians? I just presented at Campbell House in Toronto with George Takach, Mark Hayes and Alex Cameron on the topic of Cybercrime and Law Firms. I learned a lot from the other speakers about privacy, data breach notification and client-led security. You can buy access to the presentations here. My slides for the presentation are below. The zip file has the slide notes and slides in PPT/PDF format. If you have any questions about the material please feel free to email me at addison@cameronhuff.com. A static website is one in which all of the content is pre-generated. This blog is a good example of that because all of the HTML files are built locally and then uploaded to the server (using RSync). The usual way that websites work is by having a content management system that generates pages on the fly (e.g. Wordpress, FlatLaw). Although there are a lot of factors that go into choosing a dynamic vs. static website, an important advantage for a static site is security. The Pentagon had several terabytes of data related to the F-35 fighter stolen in 2009. This is just one of many hacking incidents involving exfiltration of large amounts of data. Law firms are particularly vulnerable to these kinds of attacks. If your firm has a network drive with everyone's files or a document management system then you're likely vulnerable to the mass theft of documents. Whenever I read about these kinds of losses I always wonder why the systems allowed thousands or millions of documents to be downloaded at once. Last night I was asked why a company would want to switch from outside counsel to in-house lawyers. I've been in-house at Research in Motion (AKA BlackBerry), worked at a large Bay St. law firm and am now practising independently. Although I'm not a grizzled veteran, I have seen both sides of the practise of law. Even if you have a password to unlock your phone (and you should), the contents of your phone are not secure. All of your attachments, emails, phone call records, notes, etc. could be available to a thief, hacker or border agent. If you're not using a firm-supplied BlackBerry (where this should be enabled by default) you should enable encryption on your phone. In order to secure your phone you'll need to enable encrypted storage. The method for doing so depends on your model and may require some help from an IT expert. Try googling the name of your phone and "storage encryption". On Android you can enable it by following these steps (may not be applicable to your version of Android). I use Gmail to manage my eleven different email accounts. I have all of my accounts set up as mail forwards (e.g. addison@cameronhuff.com forwards to myemail@gmail.com) and then SMTP for outgoing from Gmail. This set up allows me to have all of my different businesses funnelled into one account that's accessible on my phone and computer. When I reply to a message my email will be sent from the email address that it was sent to (and not the Gmail address). Besides the incredible convenience of managing many email accounts through one, using Gmail gives me Google's anti-spam filters (they're great). Google anti-spam is also a great defence against phishing emails. Law firms often have accounting departments with access to wire transfer capabilities through online banking. There is a risk with these systems of infection with malware (i.e. keyloggers) and then unauthorized wire transfers of hundreds of thousands of dollars. A Toronto firm in 2012 had a "six figure loss" from this type of attack. These attacks are likely just the tip of the iceberg because law firms don't like to admit to having had trust funds stolen. A good solution to the problem of attacks on accounting computers is to air gap them. The strategy is to provide a dedicated computer with a separate internet connection for wire transfers. Having a separate computer (and internet) means that any infections on the network or in an email attachments can't affect the banking computer. This method would have prevented the two attacks linked to above (and virtually any other kind of attack). I was covered in an article in Queen's Law Reports, the alumni magazine for Queen's Law. Here's the relevant page and you can read the whole issue here. The article is a bit dated because this is from an interview I did in the summer before I started my law practice. Since the article was written I opened my own practice, created AlbertaMonitor.ca, FlatLaw.ca and EUAlerts.com. If you've ever had to do cross-browser testing you're probably familiar with screenshot tools like Browser Shots (it's great and free). Uber (traditional cab competitor from San Francisco) has hired a lobbying firm in Calgary. New West Public Affairs will be lobbying Municipal Affairs and the Justice & Solicitor General for changes to the Municipal Government Act and Traffic Safety Act. Presumably they'll be trying to deregulate the taxi industry in Edmonton & Calgary. Ontario is considering allowing autonomous vehicle testing (as is being done in Nevada & California by Google). The regulation that's being considered will allow for a five year testing period. Although the cars will be autonomous, they'll have to have a driver ready to take over immediately. 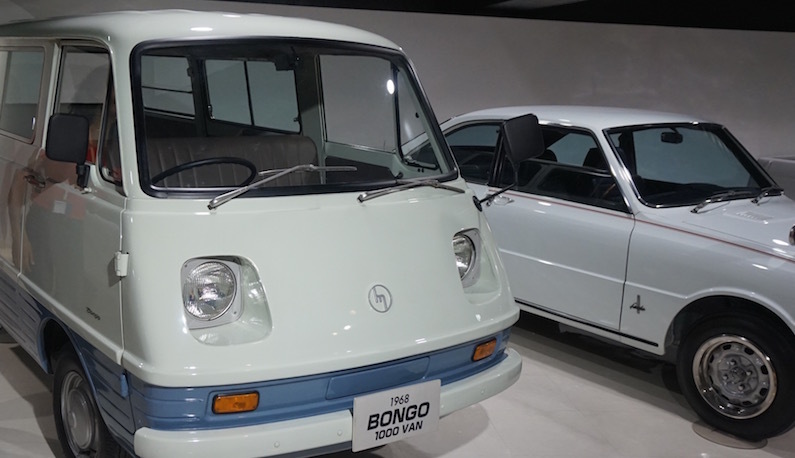 No driving systems that are "homebuilt conversions" will be allowed. FlatLaw.ca was written up yesterday on the blog of Canadian Lawyer Magazine/Law Times. The mention on their site caused about 50 extra people to visit the site (although it was published late Friday afternoon). Online license agreements usually have warranties that are WRITTEN ENTIRELY IN CAPITAL LETTERS. This is an anachronism from the typewriter era that should be avoided according to the 9th Circuit, a leading author on contracts drafting and the deputy GC of Wikipedia. The reason why people use all caps is a section of the UCC, an American law that codifies sales law (similar to the Sale of Goods Acts in Canada). You can read more about it here. My legal marketplace, flatlaw.ca was written up today on Betakit. You can read the article here. What Does Small Claims Court Cost? What Can I Expect to Win? Square launched Square Cash today. It looks like a competitor to Interac e-transfer (at least in Canada) except it's free. From what I know of the American market, this is a bigger innovation there than it'll be here where emailing money is fairly common (at least with young people). For the moment it's US only anyway. As of a few months ago, all Ontario court proceedings are being recorded but the files are hidden from the public through court procedures. Theoretically Ontario courts follow the "open court" principle (see e.g. Toronto Star Newspapers Ltd. v. Ontario). The public is supposed to be able to see justice be done. The alleged founder of Silk Road (explanation in next paragraph) earned approximately 600,000 bitcoins (~$75,000,000) and the FBI would like that money. The FBI arrested him last week and is trying to recover his money but they can't figure out his password and until they do, they won't be able to seize his alleged proceeds of crime. Silk Road was a marketplace that operated as a Tor Hidden Service. It was accessible by using a special encryption program that allows people to browse the internet anonymously. Silk Road was used by many people to buy drugs from sellers around the world who then shipped them by mail. All transactions were done using bitcoin so that the sellers and buyers couldn't be traced. Answer: an arm and a leg at a time. Better answer: hourly, fixed fee and on contingency. There's a large abandoned town in British Columbia: Kitsault. It was built in 1979 as a mining town for molybednum but the price collapsed shortly after construction and the town was abandoned. Story and photos on MessyNessyChic.com. popehat.com: A short essay on why government encryption breaking (as recently revealed by the Guardian) is un-American. It's particularly interesting because the author is a famous lawyer and discusses the (ab)use of nefariously obtained attorney-client emails. Xbox Royalties: What Does "FRAND" Mean? Microsoft has won a round in their battle with Motorola over licensing fees for industry standard patents. The patents at issue were related to wireless (802.11) and video technologies (H.264) that are part of industry standards. When standards are developed the contributing companies agree to license their patents on "fair reasonable and non-discriminatory" (FRAND) terms. Microsoft and Motorola have been fighting over what that term means. Before I started my own practice I spoke with a number of lawyers who went off on their own. One of these excellent lawyers, John Simpson, told me that the Law Society Referral Service (LSRS) was something that every new lawyer should sign up for. The LSRS is a phone system run by the Law Society of Upper Canada. People who need lawyers call in and screening agents direct their call to a random lawyer who practices in that area (both legally and geographically). Lawyers must provide 30 minute consults (but not legal advice). It's worth learning some basic scripting if you're a lazy person. In a previous post I gave an overview of how this blogging software works. Once I made the PHP program that generate the script I needed a way to publish the site to http://www.cameronhuff.com/blog. I've helped quite a few people set up Wordpress blogs (e.g. Urban Flute Project) over the years. Wordpress is a very easy-to-use platform with tons of plugins but I wanted something simple for my own blog. I looked into existing static blog generators (viz. Jekyll) but they were too complicated (or maybe I just didn't look into them enough). Not-invented-here syndrome is something all programmers should avoid but I just couldn't resist making my own static blog generator. Law Times has posted an article about ATD being acquired by Deloitte: http://www.lawtimesnews.com/201401273739/headline-news/accounting-firms-making-serious-noise. ATD is the largest e-Discovery firm in Toronto that used armies of lawyer subcontractors to do document review, primarily for litigation. If would like legal advice please contact reception@cameronhuff.com. The above content is legal information, not legal advice. You should hire a lawyer if you would like advice about your particular circumstances. Please do not act on anything you read here without speaking to a professional.